Stevie Mallan wraps up the points for Hibs as he passed the ball beyond Liam Kelly. Reaction on social media from the Hibs support after another victory for Paul Heckingbottom's side, this time winning 2-1 at Livingston. @jimmymcnulty88: Just home from football great 3pts for the Hibees. @CRM1875: Cracking win nervy end to the match. @scunnerc1: Been saying for ages that Mallan is unfairly treated by a lot of our fans. 13 goals now and plenty assists. 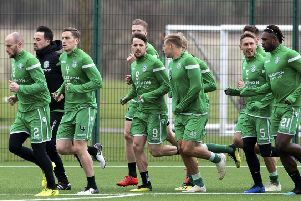 @RobbieSincIair: "Alright, but apart from the 41 games, the 13 goals, 10 assists, free kicks, corners, shooting from midfield, first touch, the attacking option, and accurate passing - what has Stevie Mallan ever done for Hibs?" @GMurray93: What a classy finish from the wee man! Messi-esque take. @HibsNews1875: Thought Slivka was excellent when he came on, as was Murray... great to see players making an impact from the bench! @JDHibs: Mallan superb. McGregor superb. McNulty superb. Terrific performance and result. Hecky's at the wheel! @HibsNews1875: Darren McGregor and Paul Hanlon both solid at the back for the #Hibees tonight! @BarryMa07295885: Aye f*** the Hertz. 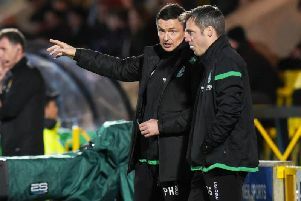 Heckingbottom in his interviews comes across as a very football savvy guy.I think he is going to be brilliant for Hibs. Onwards an onwards bigtime. @ConnorHandren93: Oméonga and Horgan were poor tonight, glad Hecky seen it and took them off and the 2 subs came on and started to make us tick. 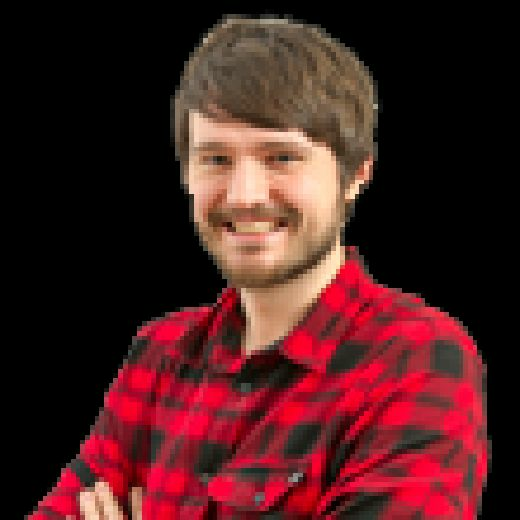 @Harry_McArthur: The thing I love about Heckingbottom is how well he adapts and changes the team. Poor first half but fantastic and dominant in the second. Terrific performance and maintains his 100% away record. The belief he has given this team is superb.